18 month ago, I had been sending my first sensor data via a Raspberry Pi into the SAP Cloud Platform to analyse it with the SAP Cloud Platform, predictive services or measure it with the SAP Smart Business Service. 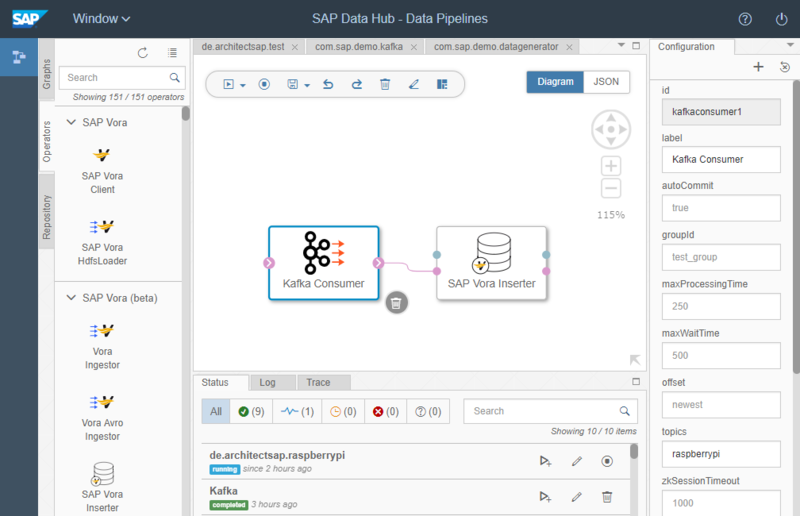 Therefore, in this blog I describe how I send my Raspberry Pi sensor data to SAP Vora via Apache Kafka managed by the SAP Data Hub. In this Data Pipeline I listen to Kafka topic raspberry and store the respective messages in SAP Vora table RASPI. You find the JSON file with the details at the end of this blog. 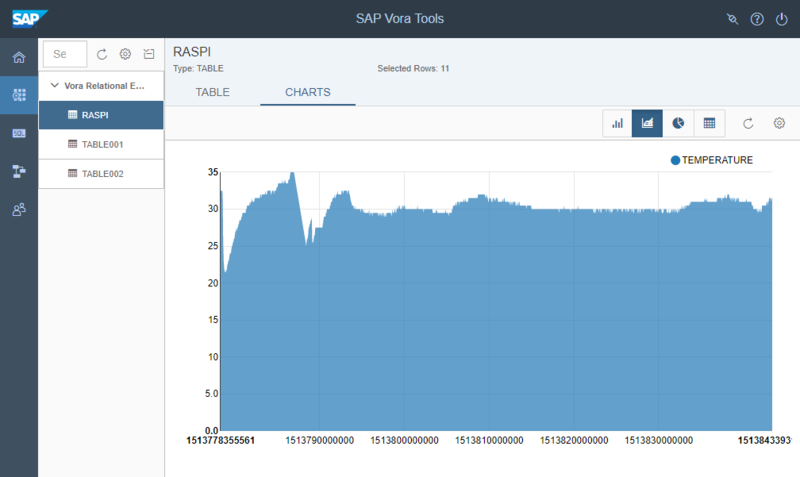 With my Raspberry Pi sensor data in SAP Vora the options to uncover insights from it are of course manifold. "points": "140,52 167.99999952316284,52 167.99999952316284,61 195.99999904632568,61"
Great blog Frank! 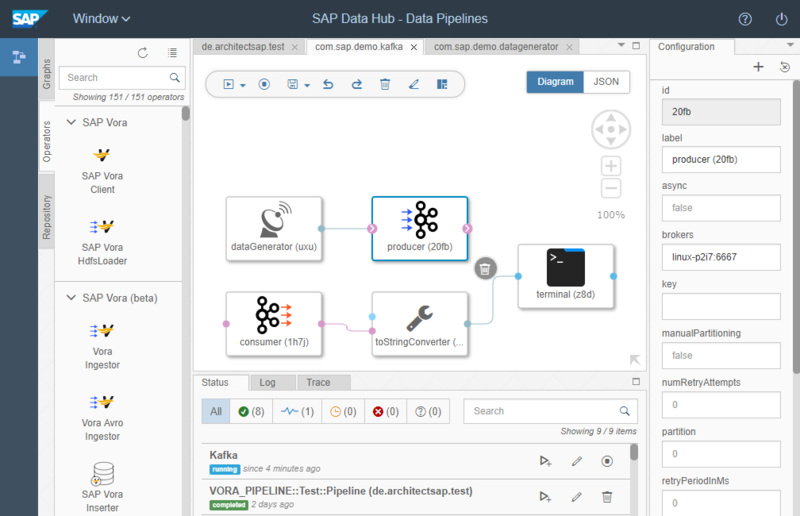 The entire series about SAP Data Hub is really interesting! Frank Great topic. I have few questions. I am not clear with the flow. 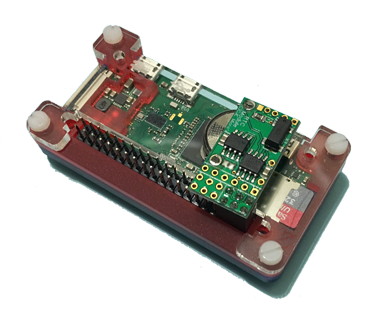 How does your Raspberry pi connect to Ambari/Kafka? 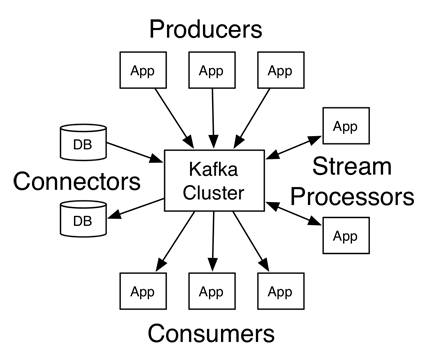 Where is KAfka installed? Is it on Raspberry Pi? If Can you explain a little bit more that would be helpful. I have Data hub installed and the Raspberry Pi. 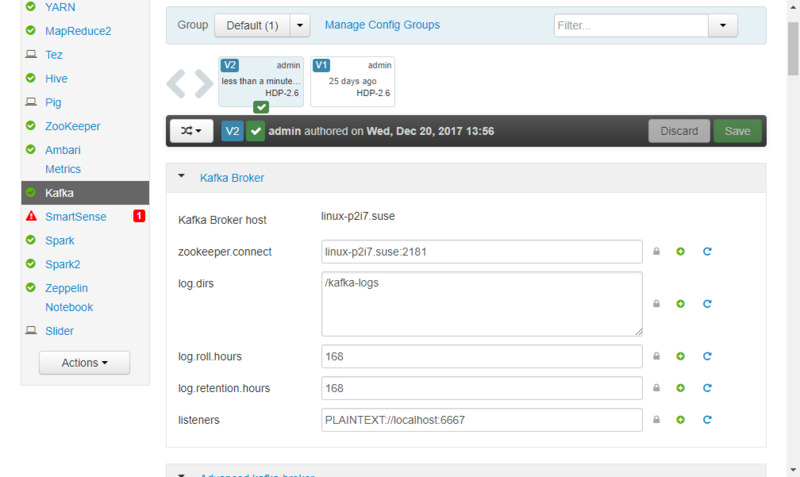 I am missing the Kafka and Ambari part, how to configure it. I would appreciate your help. Thanks.